Ravneet is a 10 year old boy. Ravneet is the eldest of 3 children. His Dad is a labourer and is employed for a few dollars a day on nearby vegetable farms. 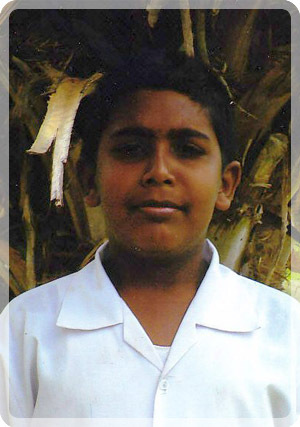 Ravneet enjoys attending school and his favourite school subject is Mathematics. Ravneet travels to school each day by bus. When he grows up, Ravneet wants to be a Teacher. Ravneet has a positive attitude towards his studies and shows interest in all his school work. Ravneet now receives the education every child deserves.